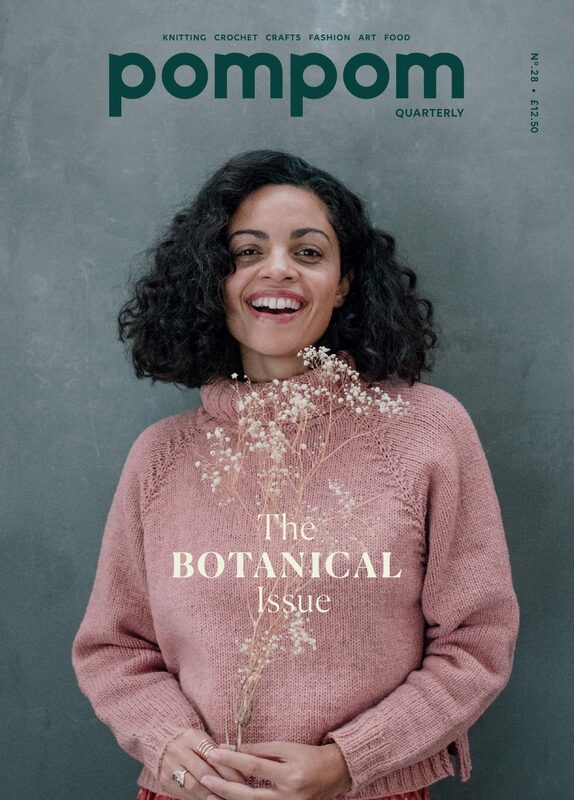 The gorgeous new Pompom Magazine is now here and we wanted to share with you just what a lovely crop of patterns it contains – especially as the theme of this issue is ‘Botanical’ – and we know how many of you are inspired by nature and your gardens! As you can see there are some lovely patterns from contemporary designers such as Emily Greene and Kelly Ordemann. One of our favourite things about Pompom is that you’re not just getting a pattern collection – this issue also features Anna Maltz’s musings on plant-based fibres, Rebecca Lawrence’s method for botanical-infused gin, and Paula Goosen’s tutorial for making your own floral lotion bars. 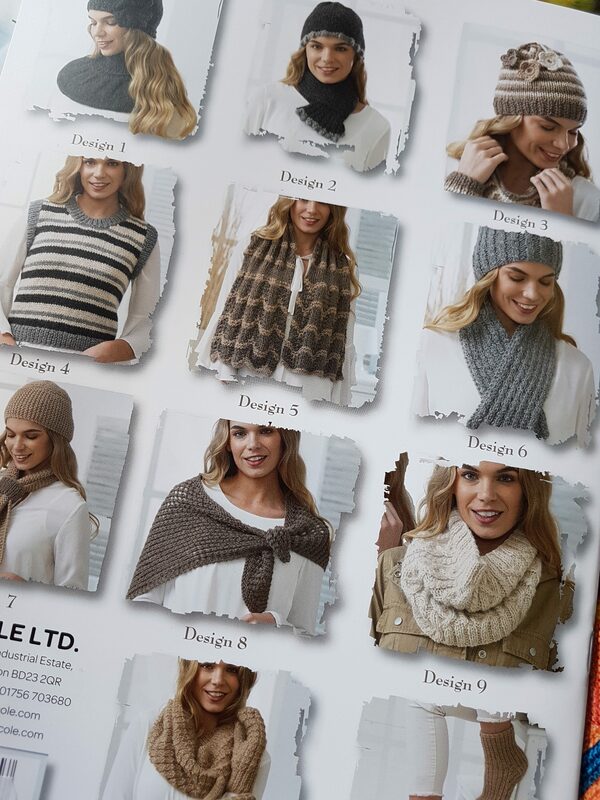 It costs £12.50 which is great value for 9 patterns! You can enquire to buy it here, or just call 01626 836203 or pop into the shop browse it with a cup of tea. Spring/Summer 2018 Rowan Yarns have Arrived! The new Rowan yarns have now been delivered…who wants to find out a little more about them? 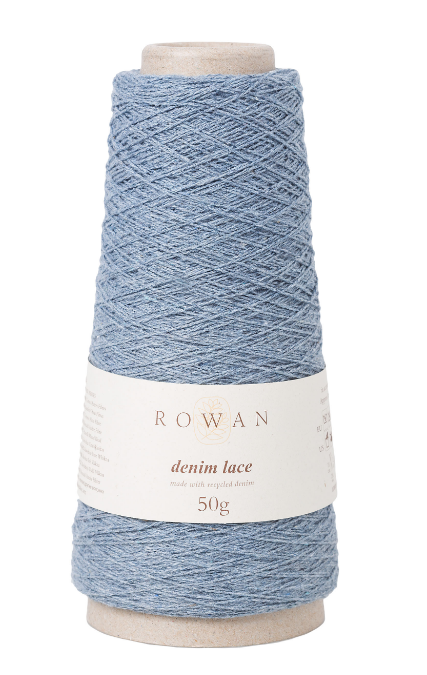 First up we have Rowan Denim Lace. 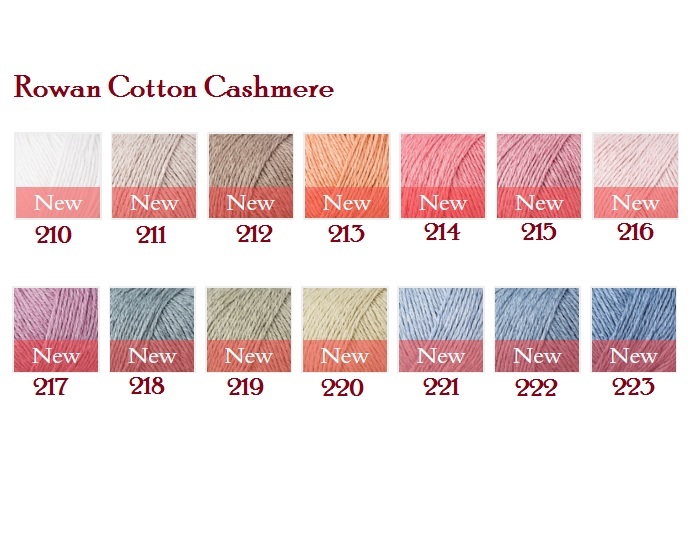 This is an exquisitely fine laceweight/2ply yarn made from recycled denim, in a range of 6 versatile shades – from faded denim to jewel-like teal. 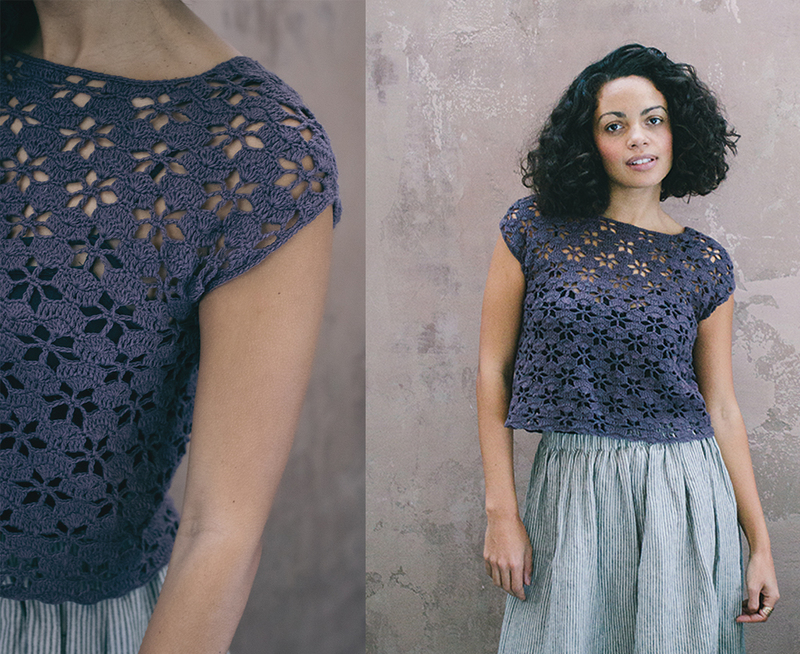 The exciting news is that Rowan have made 4 patterns designed for Denim Lace available for download on their website. 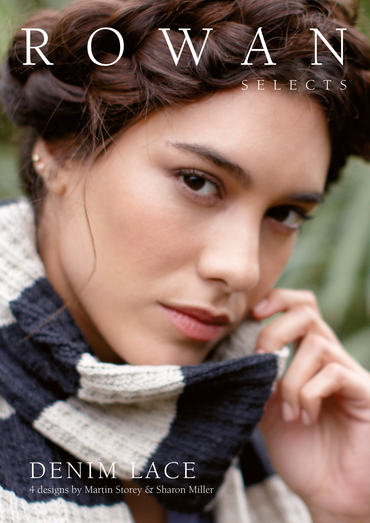 We particularly love this airy lace shawl and classic cabled raglan jumper. 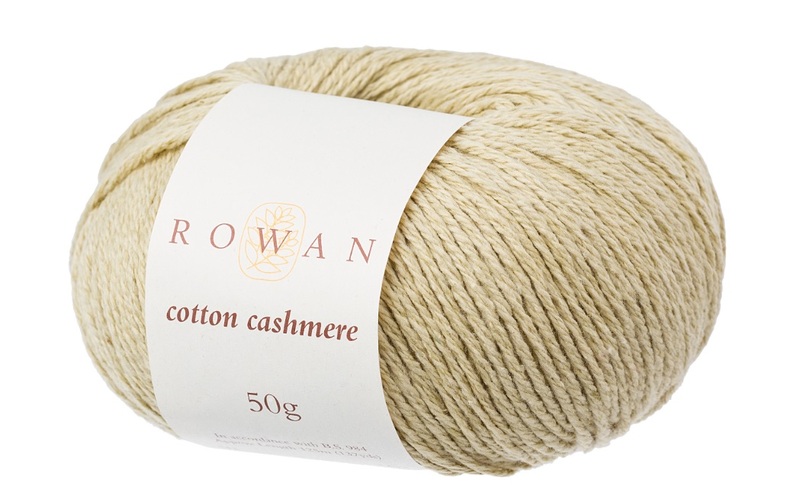 Next we have Rowan Cotton Cashmere. This new DK yarn offers the best of both words – the softness of cashmere with the crisp stitch definition and breathability of cotton. 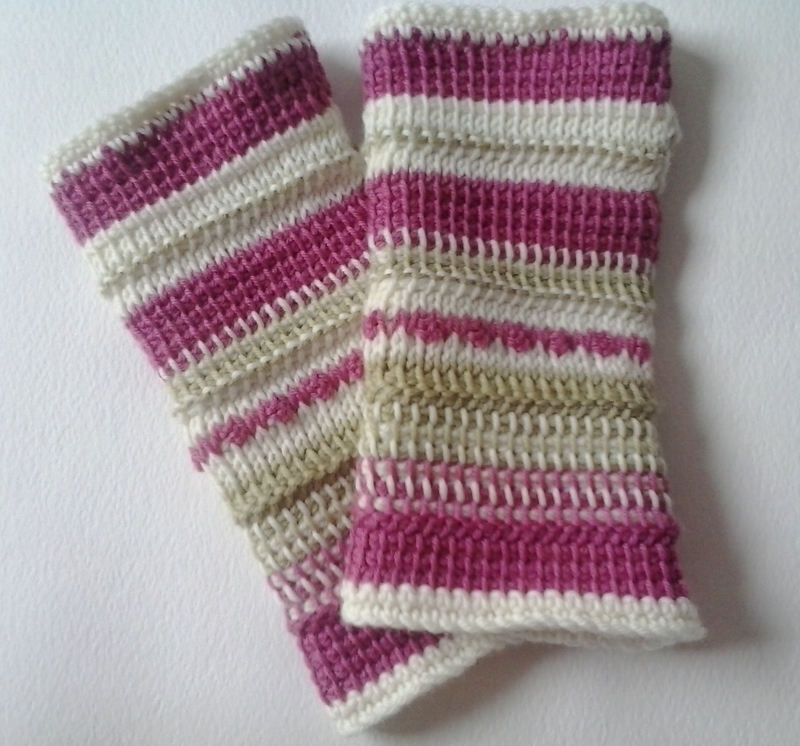 It is available in a range of soft shades which will be perfect for summer throwovers and accessories. 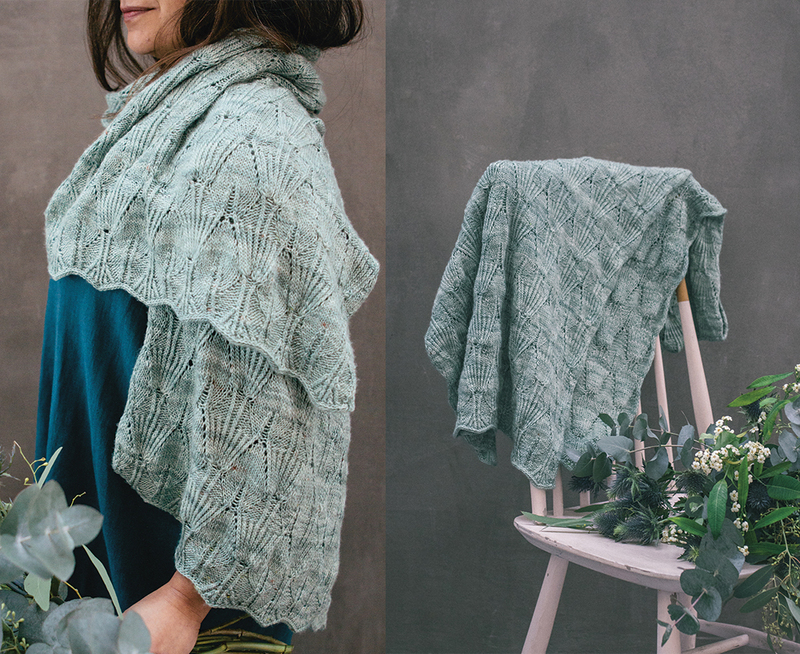 If you need pattern inspiration there is a new collection from Sarah Hatton, filled with delicate and elegant summer knits. We have all these plus the new Rowan Magazine in the shop currently, so do pop in to have a play. 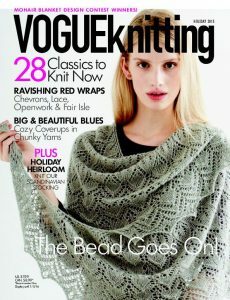 The Denim Lace is a limited edition yarn, so don’t delay a visit if you particularly fancy that! 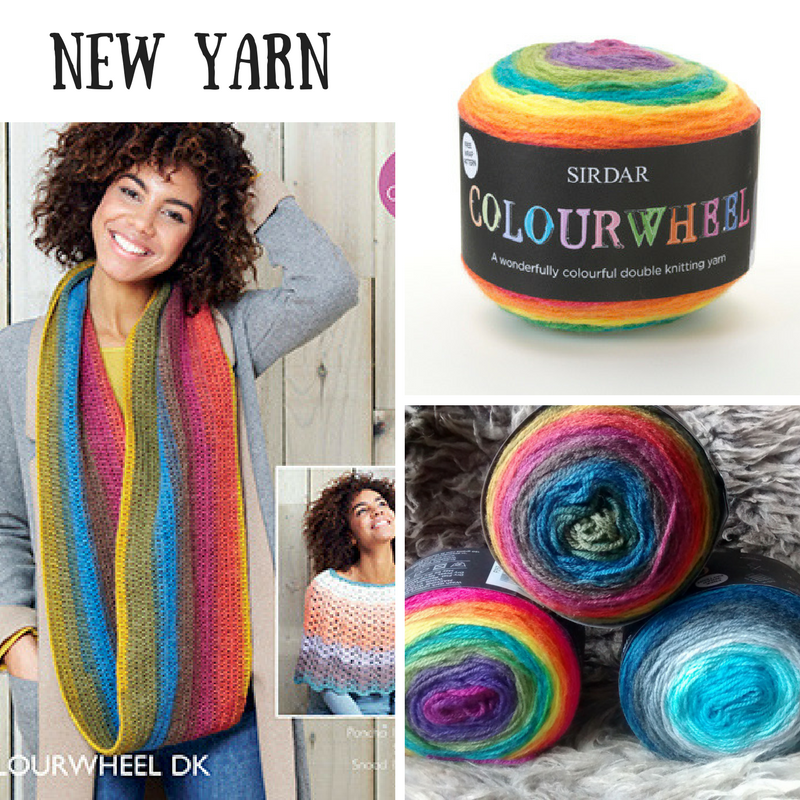 If you pass our shop window your eye might well be caught by our new yarn, Sirdar Colourwheel. 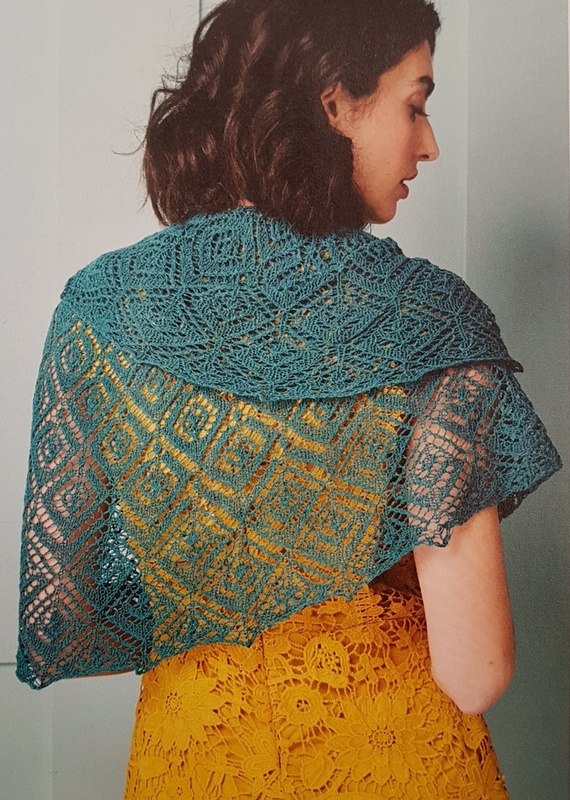 This yarn is fantastic value at £11.00 for approx 520m per ball, which includes this free lacy scarf pattern printed on the ball band! 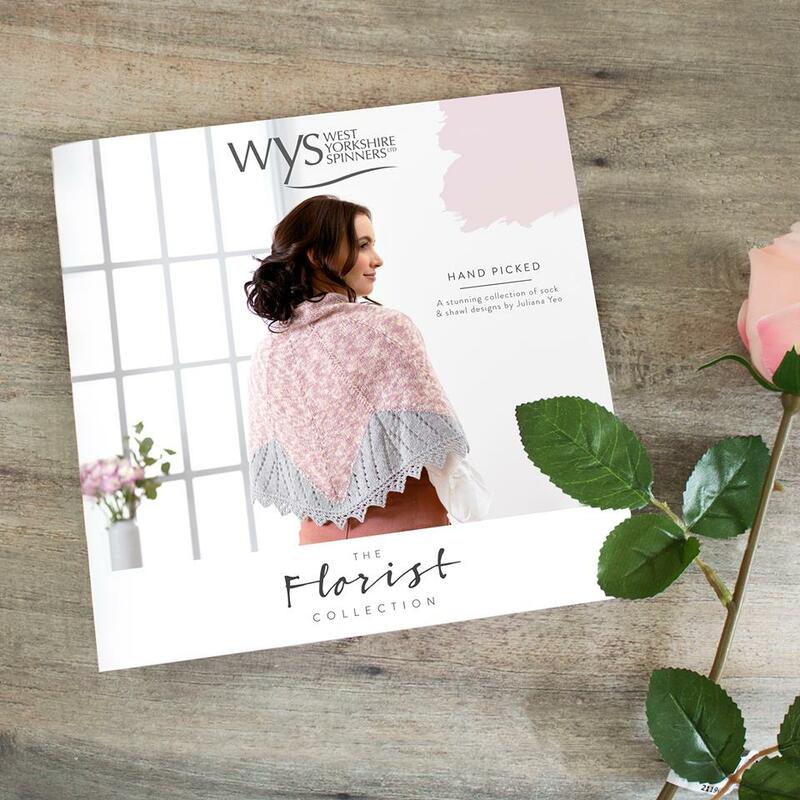 Sirdar have published a lovely collection of one-ball patterns for this yarn, including many in crochet – a real treat for our crochet fans who don’t usually have such a big choice! 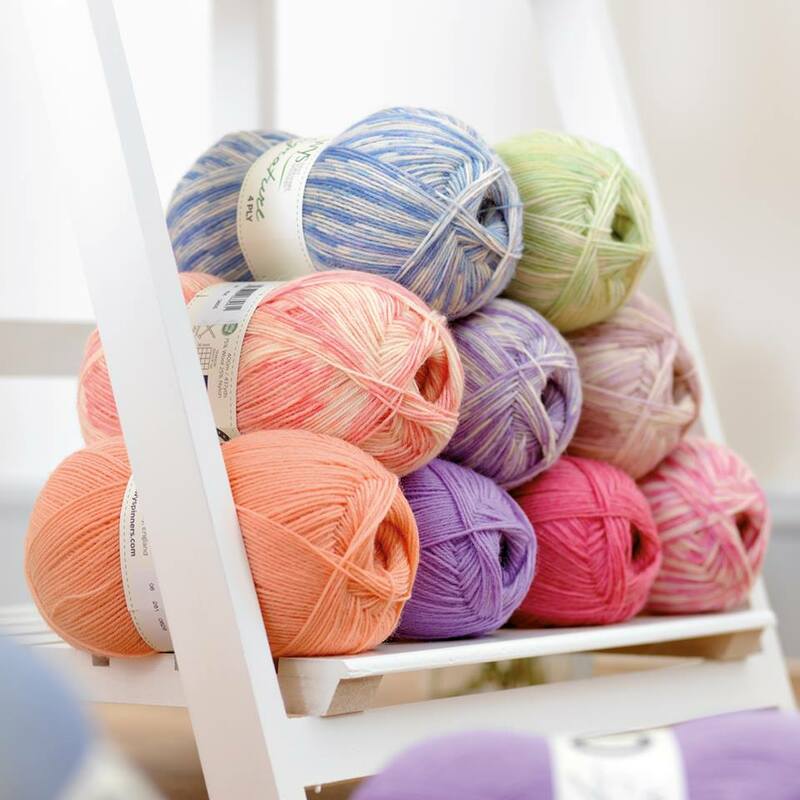 The yarn is a very practical 80% acrylic/20% wool blend and thanks to the gorgeous colourways will be absolutely perfect for kids knits and blankets as it is machine washable. 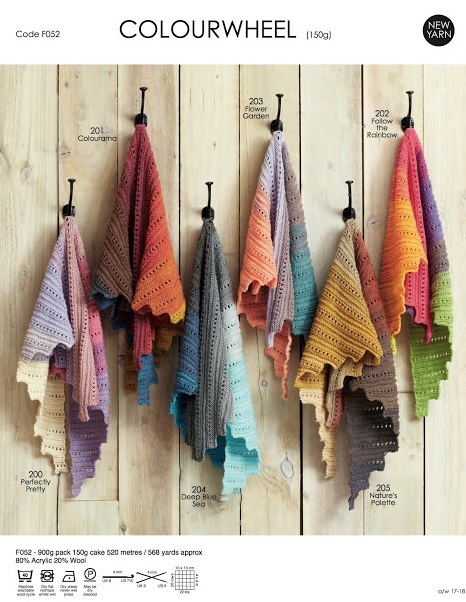 How pretty do the different shades look knitted up? 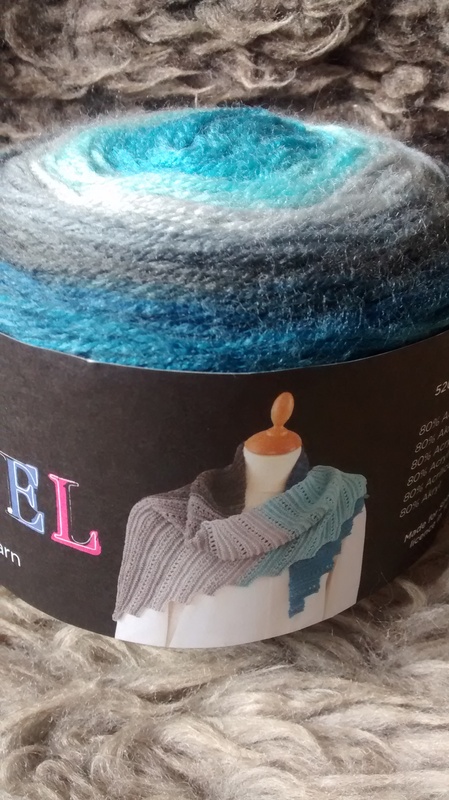 To buy this yarn just pop into the shop, give us a call on 01626 836203 or to read more online go here: Sirdar Colourwheel. 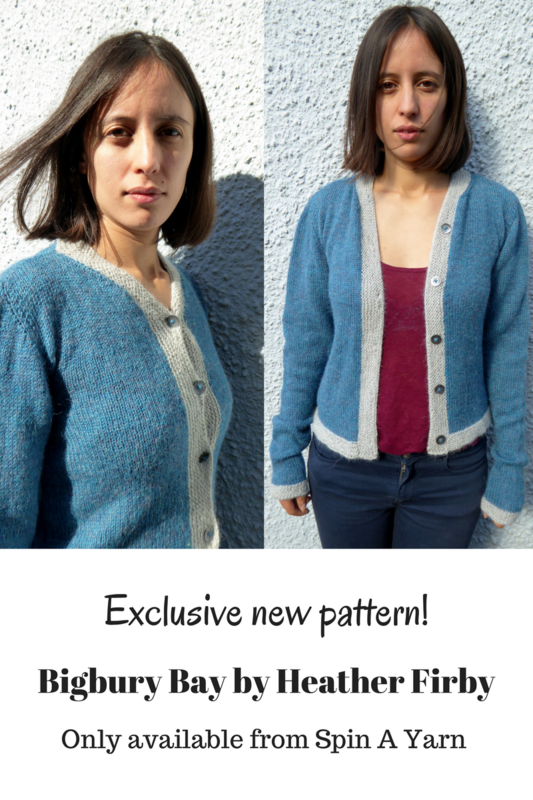 Bigbury Bay Cardigan Pattern – Exclusive to Spin A Yarn! 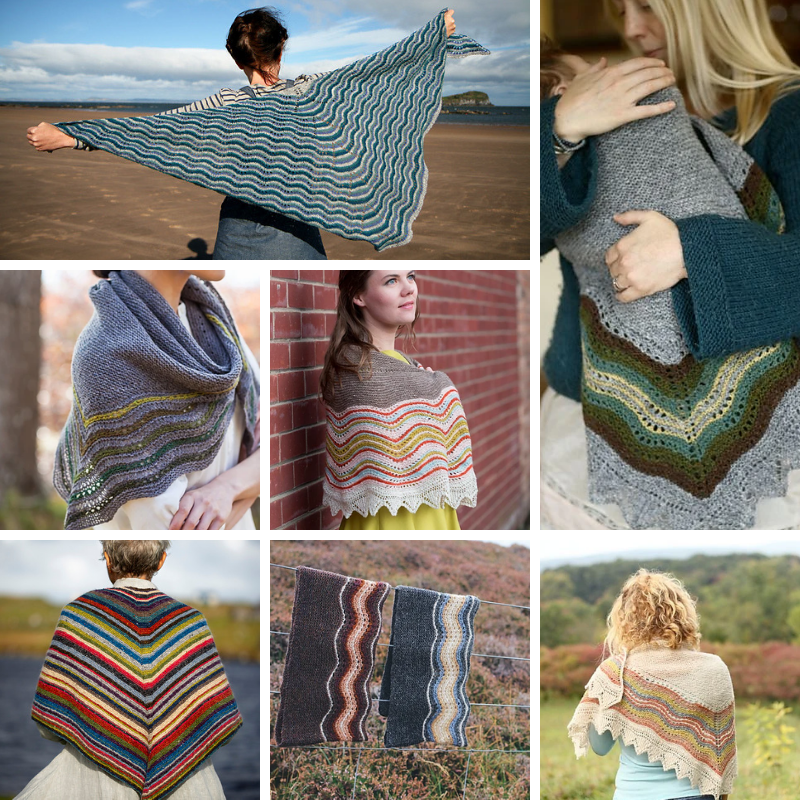 We have a lovely new pattern to share with you today. 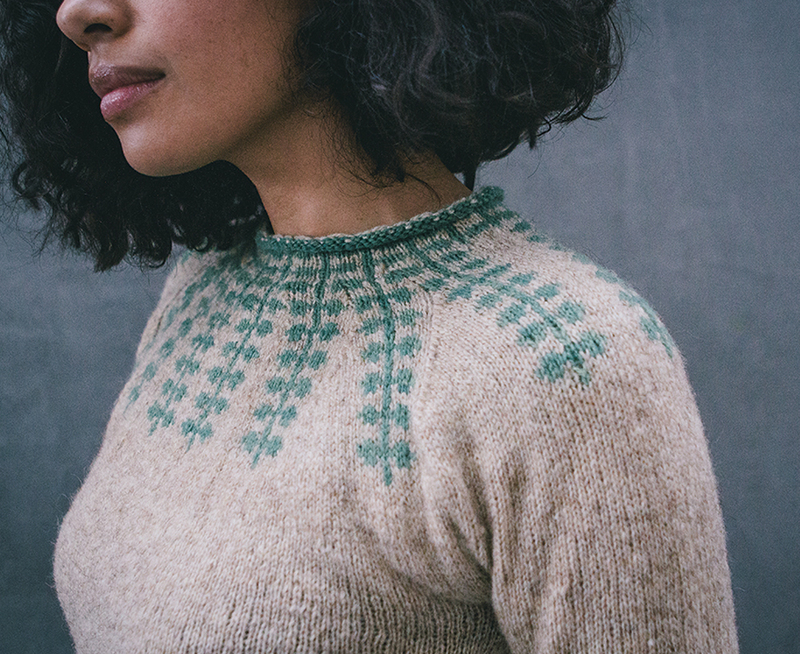 After designing the Trendlebere Jumper for us, we asked Heather to come up with a cardi design that was classic and versatile. 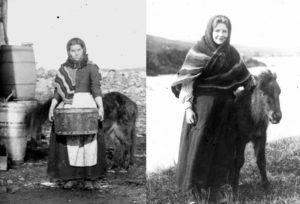 She came up with Bigbury Bay – a cardigan with a timeless look which can be knitted in bold contrasting colours for a contemporary look, or all in one colour for a more subtle effect. 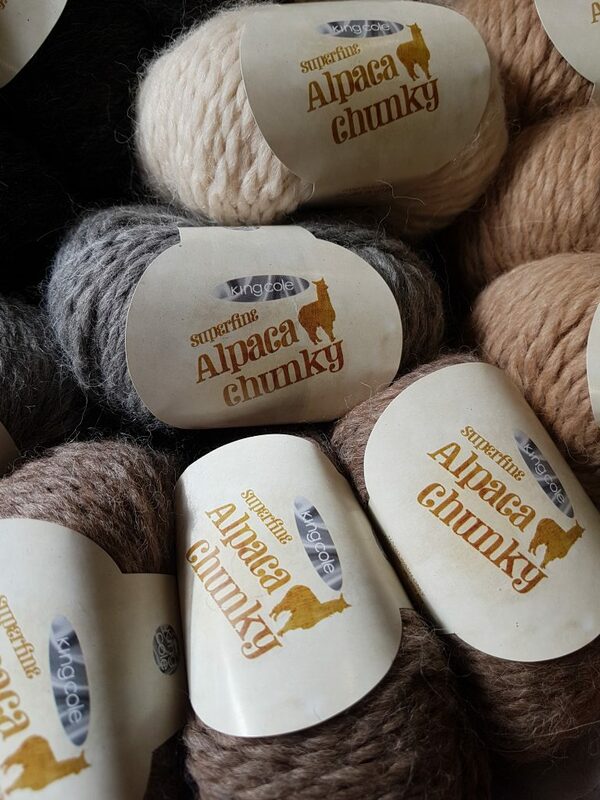 You can use any DK yarn to knit it – although it works beautifully in Adriafil Sierra Andina alpaca – you can feel how soft the sample garment is when you next pop into the shop! The pattern also features two different lengths as we know some of our customers prefer slightly shorter or longer cardis. You can buy a copy of Bigbury Bay in the shop for £3.00, enquire to order it though our website here or it’s available to buy on Ravelry.com here. 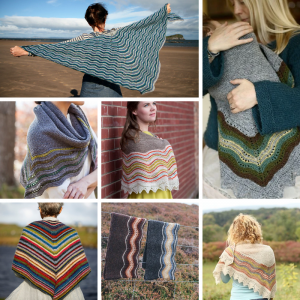 If you knit it we’d love to see your photos – either share them on Facebook or Instagram (@spinayarnshop). You can also follow Heather’s exciting design work at her Facebook page: Woolly Minded Knitwear. 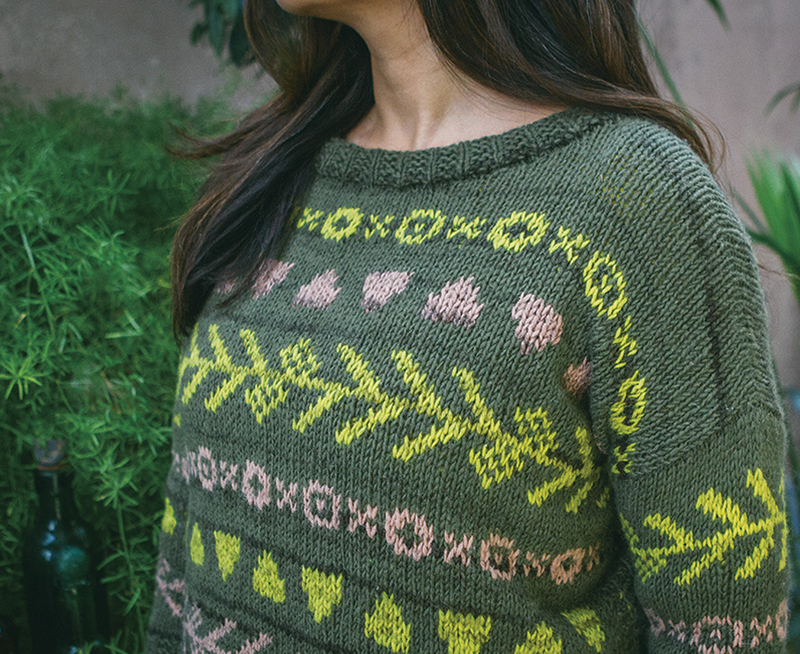 The leaves are turning colour, the days are getting shorter…what better way to prepare for winter than learning a few new skills with renowned designer and teacher Anniken Allis at one of our workshops? 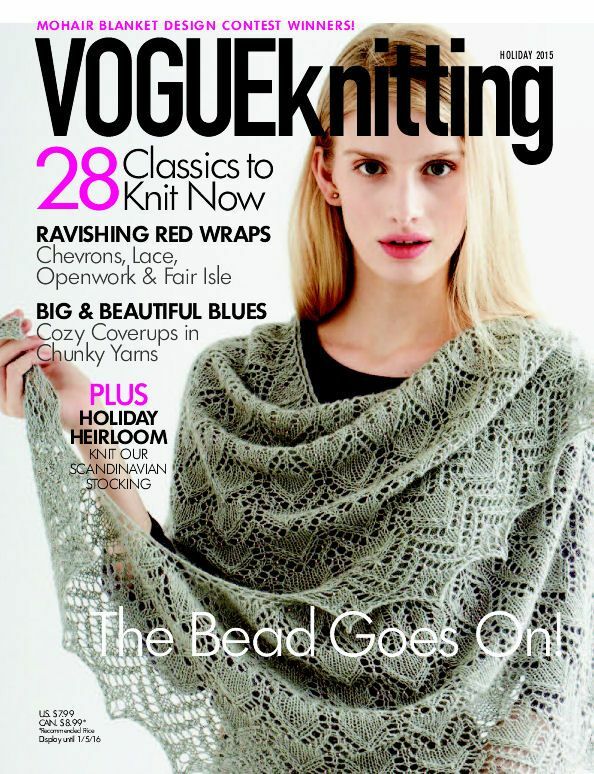 Firstly on Tuesday 11th October we have Easy Lace Knitting. 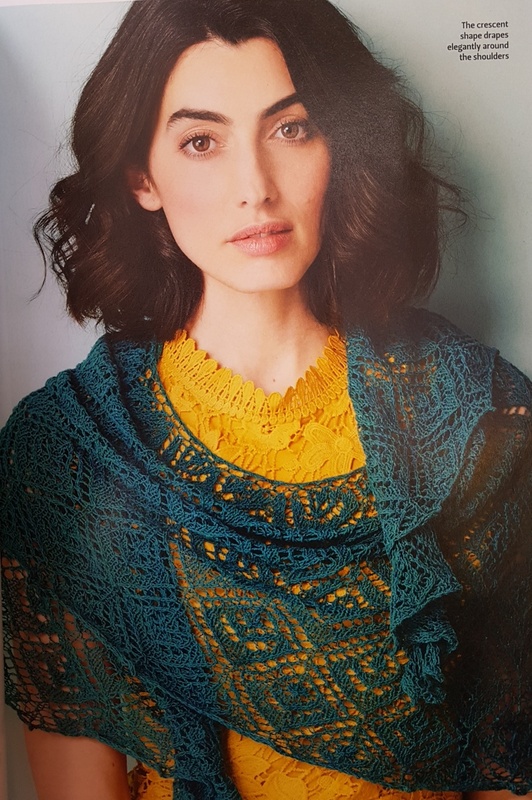 A quick glance at the latest designs in the knitting magazines and online shows that Lace Knitting is more than just a skill – it’s an art form! Whilst it may look complicated, most lace patterns are made up of a handful of stitches which you probably already know. 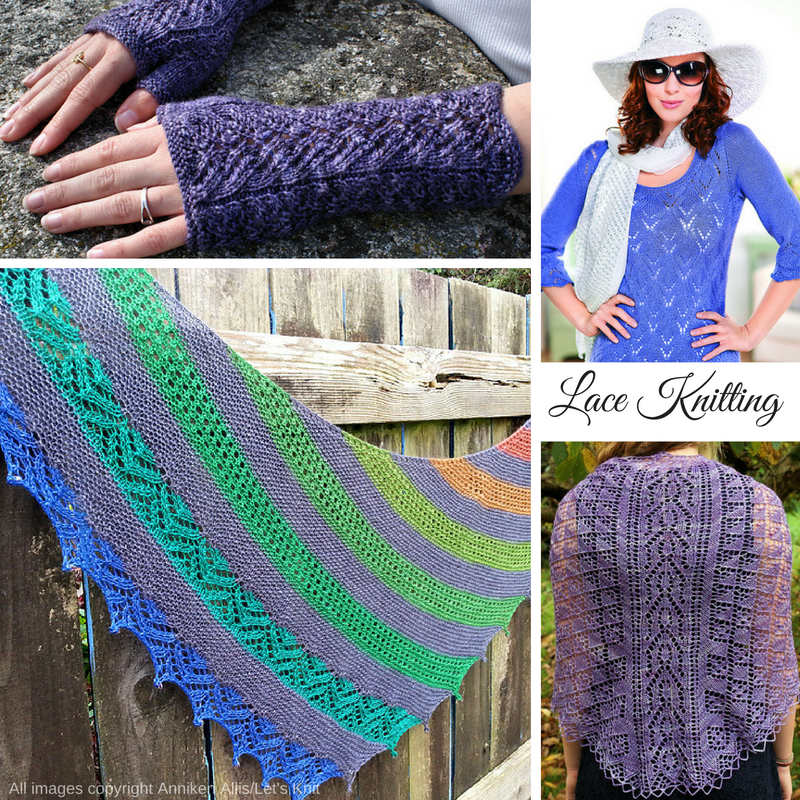 It’s not just for fancy shawls either – you can use lace to add a pretty border on some mitts, as a panel on a summery top, or even on socks and hats! 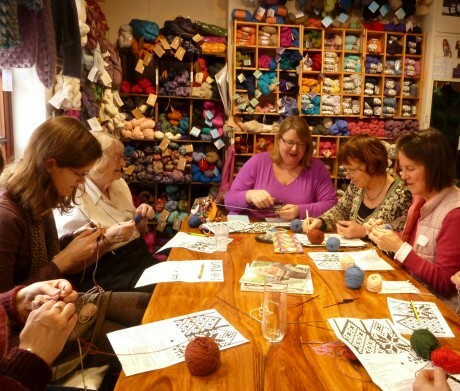 The workshop will teach you how to read the charts (which provide a visual aid to the written instructions), how to work the stitches and decreases required for lace knitting, how to add beads with a crochet hook, and how to shape within a lace pattern. 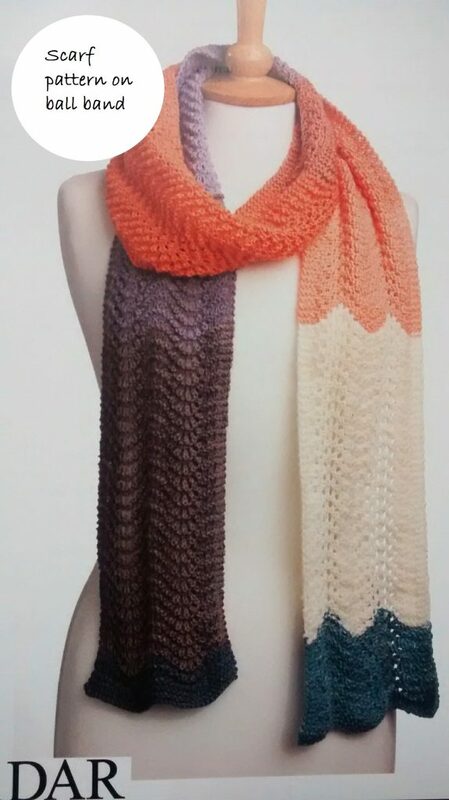 It’s suitable for adventurous novice and intermediate knitters. 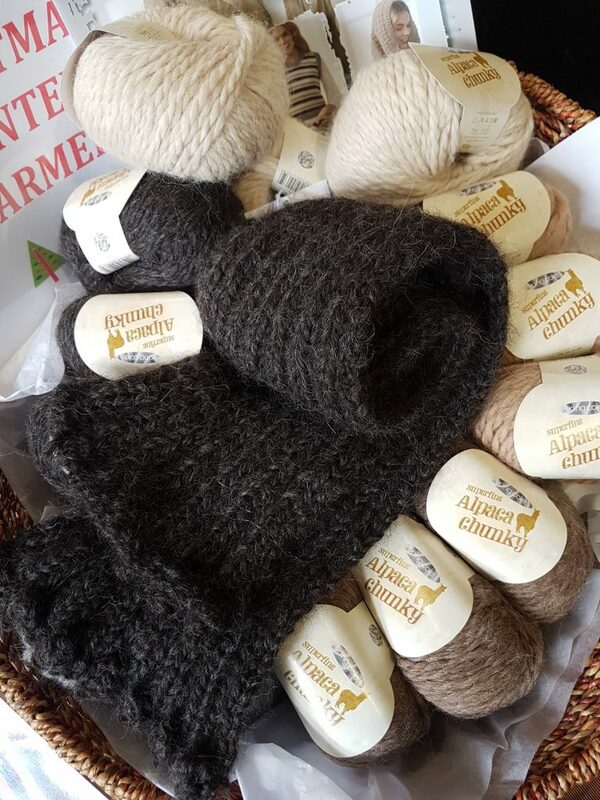 Next up we have an exciting workshop teaching you how to knit Two Socks at a Time, on Tuesday 15th November. 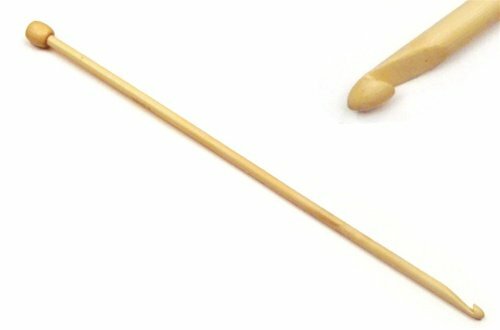 Why would I want to do that, you might ask? 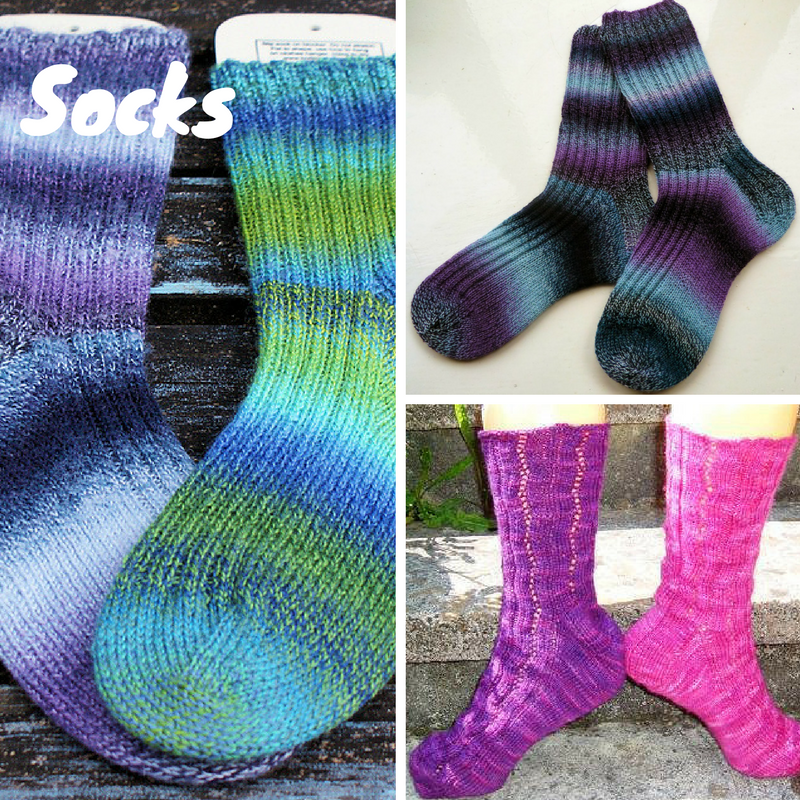 Well, did you know that Second Sock Syndrome is rife among sock knitters? 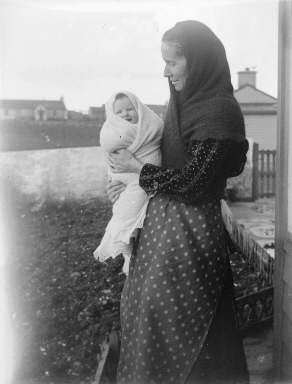 The joy of finishing the first sock is replaced by the weary feeling of having to repeat the whole process again. As a result, single socks linger sadly in the knitting bags of many a sock knitter! 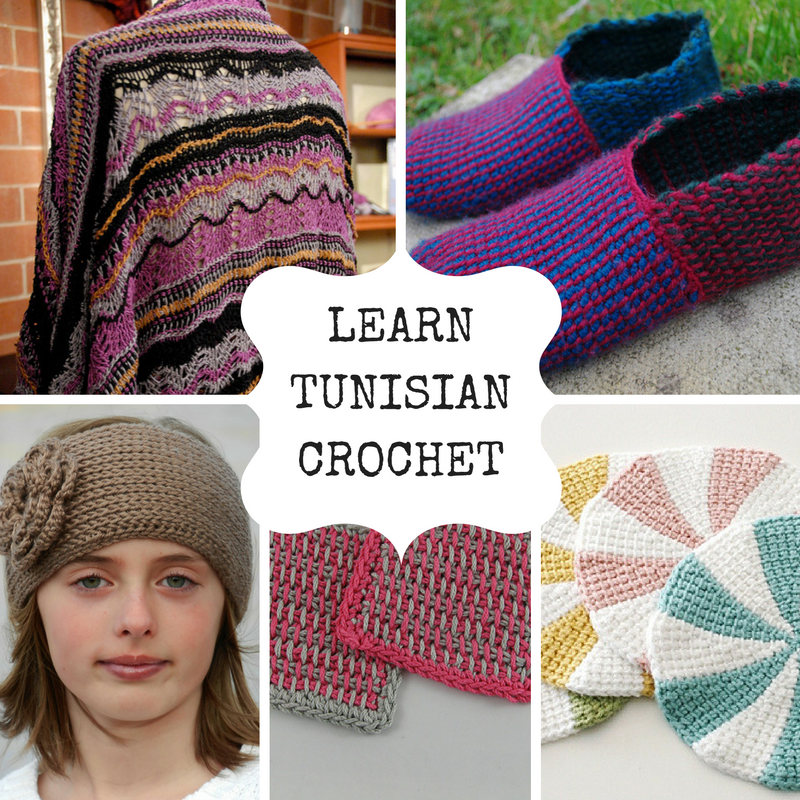 Beat it by learning how to knit two socks at a time, top-down, using circular needles. 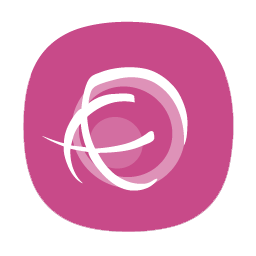 You can either use magic loop method or the two circulars method, whichever you are most comfortable with. 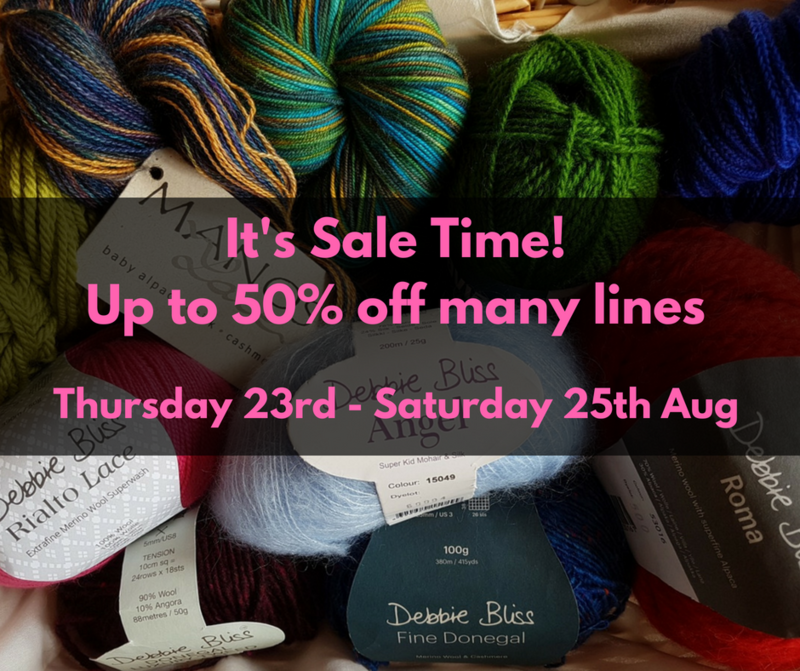 We stock a dazzling array of sock yarns in the shop – from self striping, colour-shifting, to self-patterning! 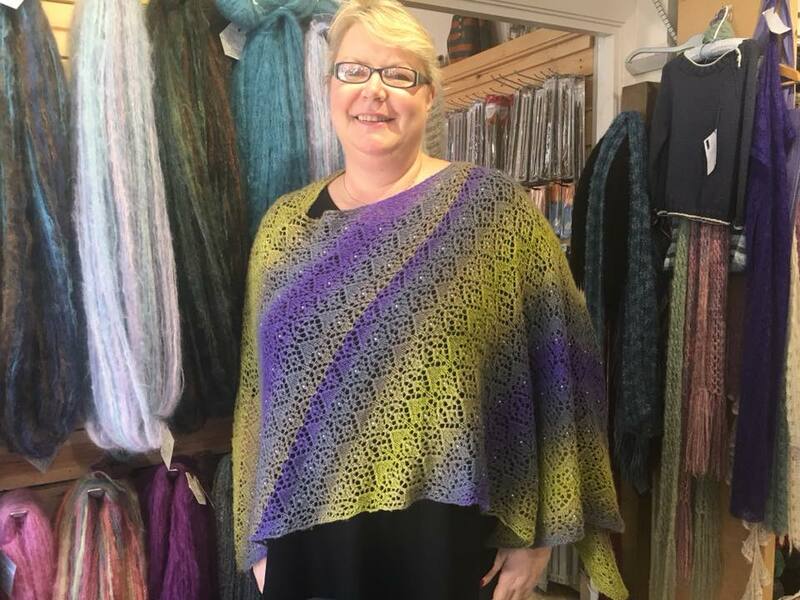 A little information about Anniken Allis…one of our most long standing teachers at Spin A Yarn, top knitwear designer Anniken specialises in lace knitting, which she loves to add beads to. 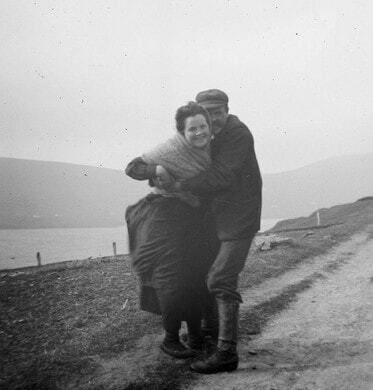 Growing up in Norway, she learned to knit before she left primary school, knitting continental style. 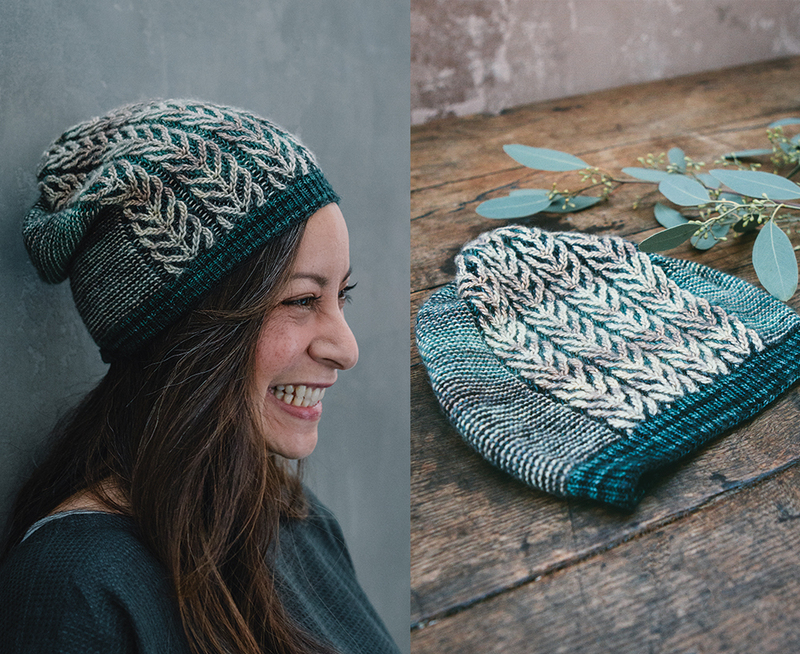 When she moved back to the UK, she resumed knitting, found a love for blogging (follow her adventures at Annis Knitting Blog), and started writing up her own patterns (we still have some of her earliest patterns here in the shop!). 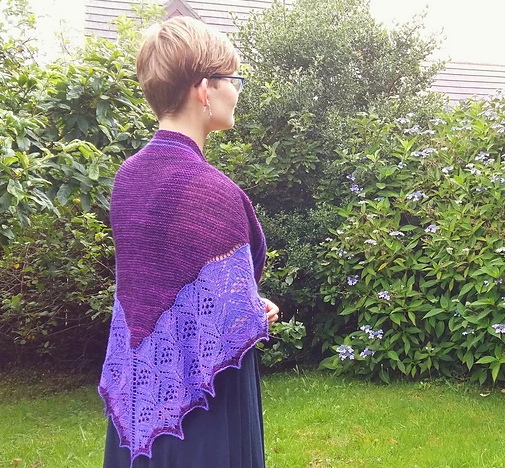 Anniken taught herself lace knitting (and cables) by using online videos, books and magazines, and quickly realised that it was much easier to knit from charts. 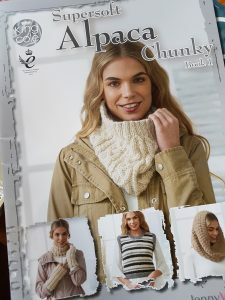 Her patterns are regularly published in national magazines such as Debbie Bliss, Knitscene, Interweave Knits, and she even achieved her goal of having a pattern published in Vogue Knitting!